Central California has a rugged coastline along the Pacific Ocean. I have been working my way southward from Big Sur over the past year. I made it down to Morro Bay on the first day of this trip. The second day I went back northward to my favorite areas around San Simeon. Long exposure seemed to be the theme for this trip. 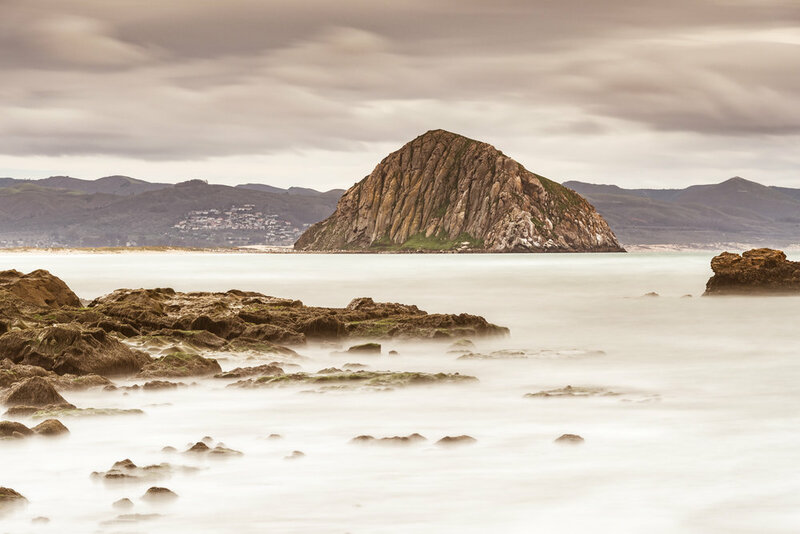 I drove and hiked around all morning looking for a good vantage point on Morro Rock. I found this spot by walking half a mile from an ocean access point along Highway 1. I found this little rocky cove with the green moss covered rock pointed to Morro Rock. Low tide exposes the rugged terrain along the California coastline the most. The Cabrillo Highway on the California Coast has many vista points showing the rugged coastline. Even on calm days, you can see the waves dramatically crashing over the outcroppings. I like watching the water draining after the initial crash. 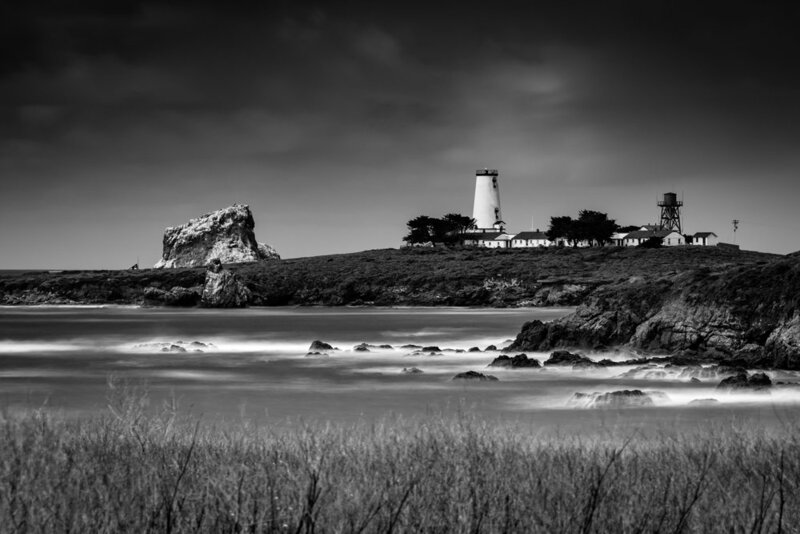 Piedras Blancas Light Station is just north of San Simeon. There are several nearby locations to get nice viewpoints of it. Someday, I will be there on a really interesting day. 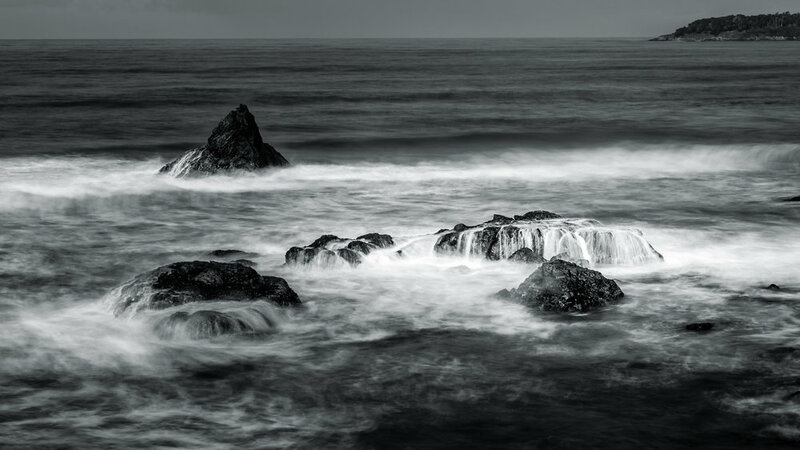 For now, I did my best with this long exposure to get the ocean to be the foundation but allow the eye move up the frame.